Depending on which country you choose to sponsor a child in, you could provide a young individual, who without you will never get an education, with schooling, uniform and all workbooks for as little as £10 per month. Please go to the ‘Countries’ pages on the main menu for more details. Many of our schools are no more than four bare walls, with no desks, chairs or blackboards, let alone power, computers or other more sophisticated aids. Your help can transform an inhospitable empty box into a functioning centre for education. Just scroll to the bottom to tell us what you are able to help us with. Remarkably, many schools that we support lack even basic classrooms and accommodation for their children; let alone sanitary facilities or any recreational areas for inclement weather. 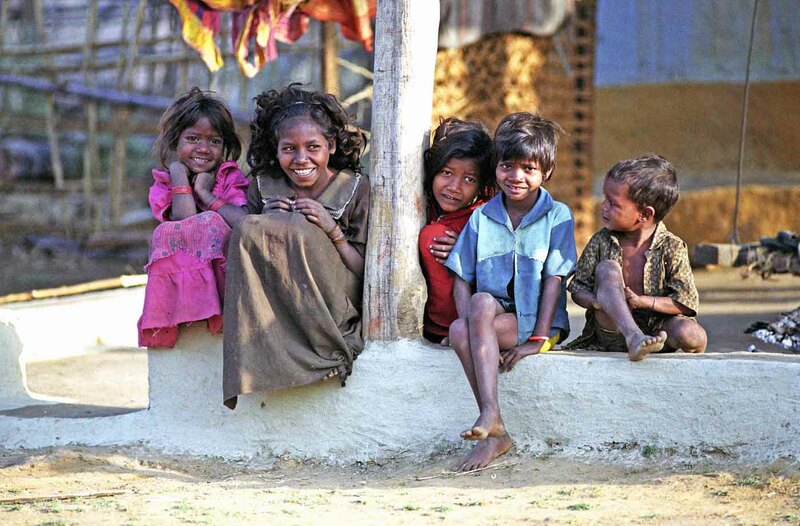 Part of our long term strategy is supporting Forest Department initiatives to relocate tribal villages out of the jungles into locations where they can access medical and market supplies as well as obtain work and provide education for their children – tackling the problem of deprivation at source.